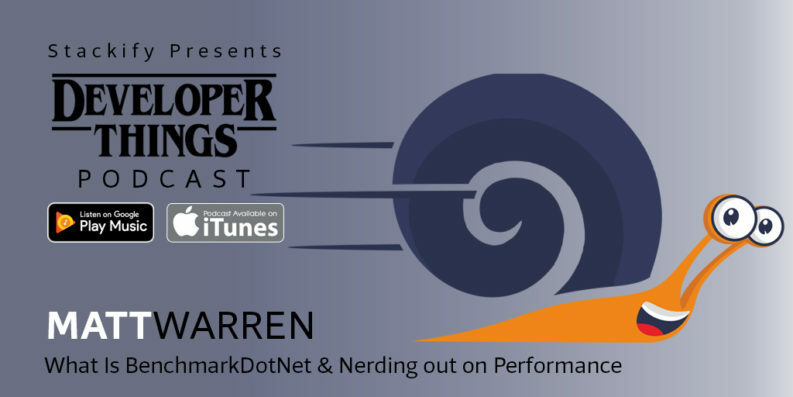 Developer Things Podcast #5: What Is BenchmarkDotNet? Be sure to subscribe to the Stackify Developer Things podcast via popular podcast players! In today’s episode of Developer Things, host Matt Watson speaks to guest Matt Warren. Matt Warren works for CA on their application performance management solutions. He is also involved in the BenchmarkDotNet project and spends time blogging about .NET. Matt got his start in software development with a programming course in computer science, focusing mostly on Java, while he was in college. After college, he got a job that was part customer support and part programming, supporting customers who were also developers. That job involved C++ and image processing. After a few years, the projects started including C#, so Matt learned that as well. Today, Matt spends a majority of his time doing C# coding.